Samsung's 2016 flagship devices are some of the most beautiful, powerful smartphones ever made. And amazingly enough, thanks to legendary root developer Chainfire, the Samsung Galaxy S7 and Galaxy S7 edge are about to get even more powerful. Shortly after being released, a root method for these two awesome phones was made available, and it's just about as quick, painless, and easy as rooting can be. So if you're interested in modding your new S7 or S7 edge with all sorts of cool software tweaks, I'll go over the process in detail below. 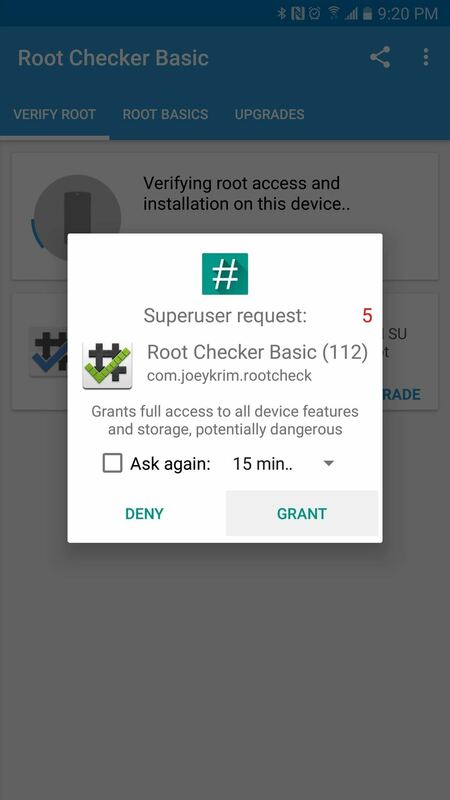 The root utility we'll be using today works by unlocking your device's bootloader. This means that if your bootloader is not already unlocked, you will lose all of the data on your device, and your warranty will become void. On top of that, this process will trip KNOX, Samsung's security layer for their mobile devices. This means that Samsung Pay will no longer work once you've rooted. Tripping KNOX also means that you may not be able to use enterprise services through your employer, so please consider that before moving forward. Bootloader unlocking has another downside—all U.S. carrier variants of the Galaxy S7 and S7 edge have bootloaders that cannot be unlocked. Therefore, this method will not work if you purchased your device from AT&T, Sprint, T-Mobile, or Verizon, and there is no alternative root method for these devices. 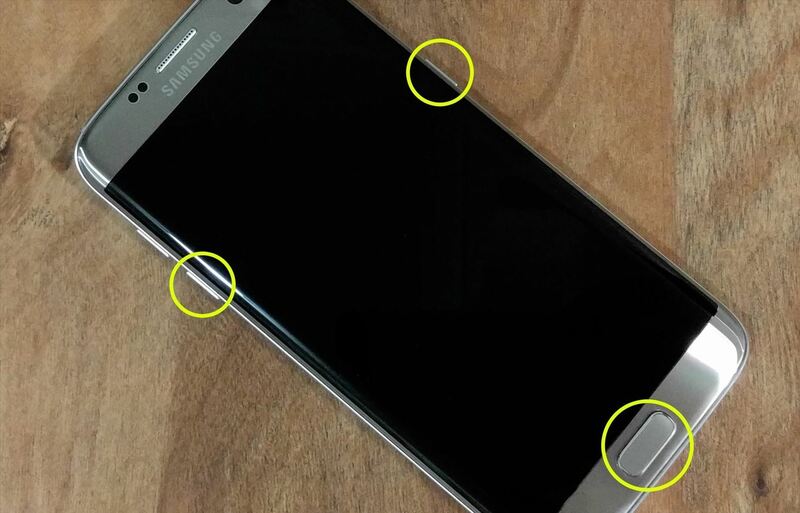 Beyond those specific carrier variants, this method will also not work on any Galaxy S7 or S7 edge model that uses a Snapdragon 820 processor, so read this guide to double-check your processor type before you get started. If you have a Snapdragon process, there's another root method you can try. If your device is one that can currently be rooted, and you're okay with the downsides or rooting, then it's time to get started. You'll need a Windows PC and reliable USB data cable to use this method. To get things started, there's a hidden setting you'll need to enable on your Galaxy S7. First off, you'll need to enable the "Developer options" menu, which can be accomplished using these instructions. 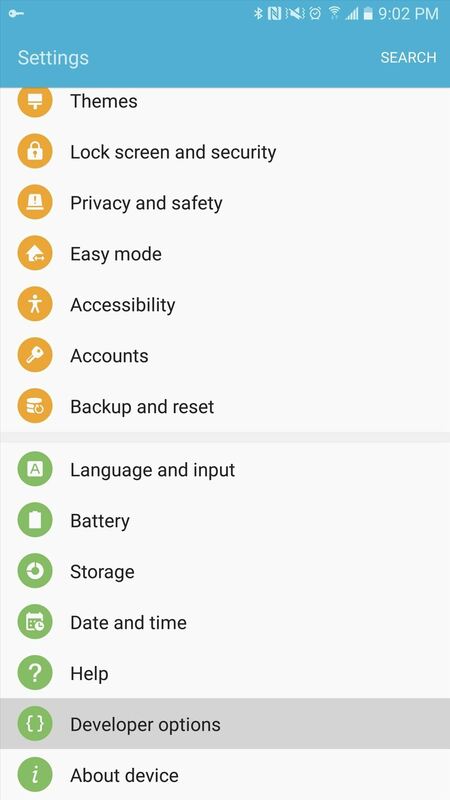 Once you've done that, head to your phone's main Settings menu and open the Developer options submenu that you just enabled. From here, enable the "OEM unlock" option before proceeding. Next, power your phone completely off. From here, press and hold the power, home, and volume down buttons simultaneously. This will take you to Samsung's "Download mode" menu where you'll need to press the volume up button to verify your choice. Once you've done that, plug your phone into your PC with a USB data cable. The button combination for entering Download mode. On your Windows PC now, head to the following link to grab a copy of the Samsung USB drivers. This is an EXE file, so simply launch it, then follow the prompts to get the drivers installed on your system. 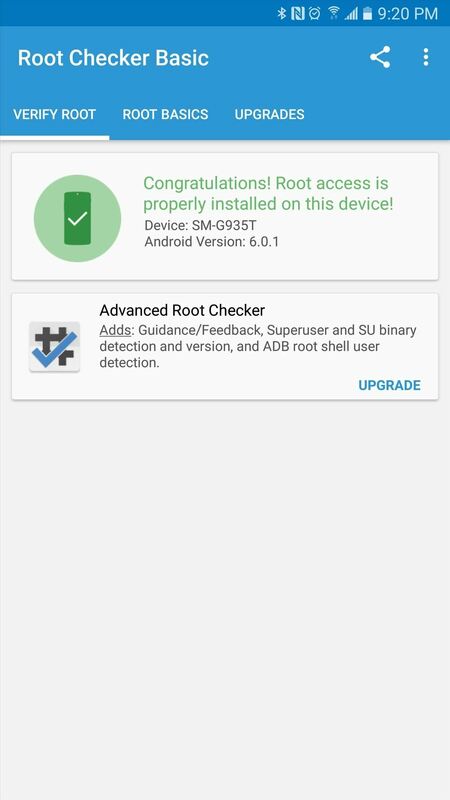 Next up, you'll need to grab a copy of CF Auto Root, which is the tool you'll be using to actually root your device. So from your Windows PC, head to one of the links below to grab a copy of the utility for your particular model. Once you've taken care of that, extract the contents of the ZIP into a folder you can access easily, and leave this folder open. 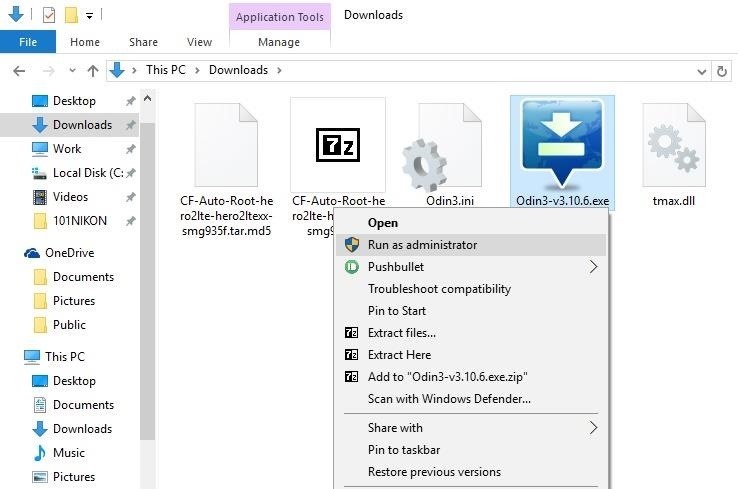 Next, right-click the Odin3-v3.10.6.exe file that was extracted from the CF Auto Root ZIP, then choose "Run as administrator." This is an important step, because the root utility won't be able to run properly without administrator privileges. At this point, it's time to get down to business. 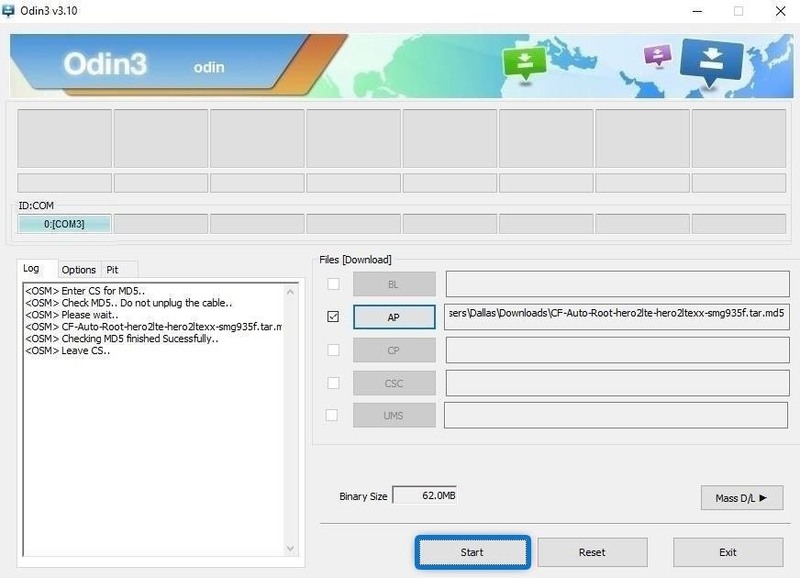 From Odin's main menu, click the "AP" button in the middle of the screen, then use the following menu to select the CF Auto Root tar.md5 file from the ZIP you extracted earlier. From here, wait a few seconds until the Log tab shows a message that says "Leave CS," then click the "Start" button to root your device. 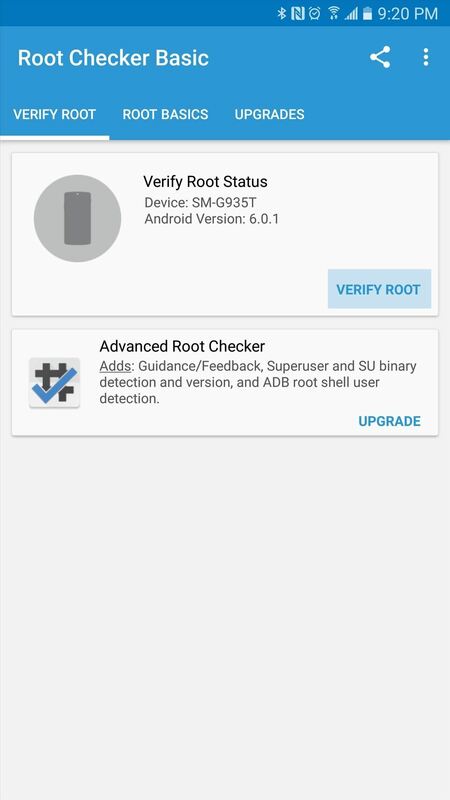 The entire root process will happen automatically, and when it's finished, your phone will reboot back into Android. Can an unlocked phone be purchased and used att? You can use Steps 2 & 3 in this guide to see if a certain phone model is compatible with a particular cellular network. 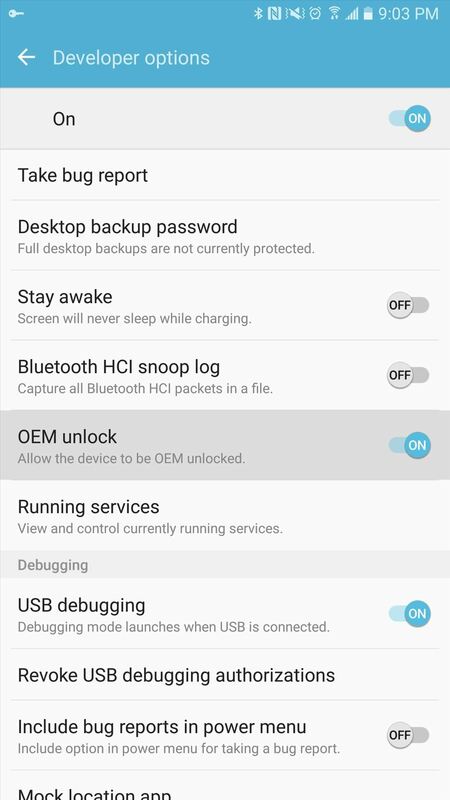 I did everything as described above and it worked; phone was rooted. Untill somehow my rooted s7 turned back to unroot. 'SU binairy not found' was the message in Superuser. Re-rooting as described above does not help; everything goes as described but the phone stay un-rooted but works fine. What can do? Have you tried re-downloading the CF Auto Root files? It sounds like you may have received the 6.0.1 firmware update, which removed root. If that's the case, you'll need to download the newer 6.0.1 version of CF Auto Root to re-root. 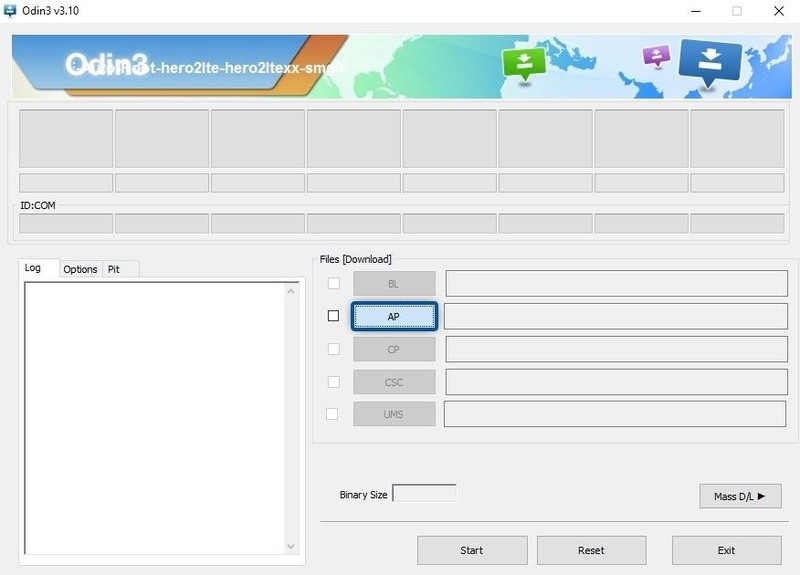 The links in Step 4 will auto-update to always show the newest CF Auto Root version, so delete the old CF Auto Root files from your computer, then use the link in Step 4 to download the new ones. Does this method give you custom recovery as well? Need some assistance, followed step and device rebooted, now i'm stuck on the "to start up your device, draw pattern" screen as it does not accept my pattern anymore stating "incorrect pattern drawn", no way of bypassing this except to restore factory setting loosing everything on the phone , any ideas? Hello guys! if this thread is still active can anyone help me out? i followed all the steps and made sure my device is rootable with the mentioned methods. but at the last step where the device reboots automatically, it gave me a screen with the following message "Verification Failed! Unable to restart your device. The integrity verification has failed. You need to reset your device to factory default settings. This will erase all your data." must I be connected to the internet before using odin?